Pressure - pressure moves from high to low. Think of a pop can. Temperature - heat moves from hot to cold. Think of a stove. This is one of my favorite sections because it is so easy to memorize but it has deep implications and can make you look really good in front of a homeowner when explaining why their home gets so dusty, room so hot or floor so cold. The terms above will definitely be on the BPI test, so I would commit them to memory. 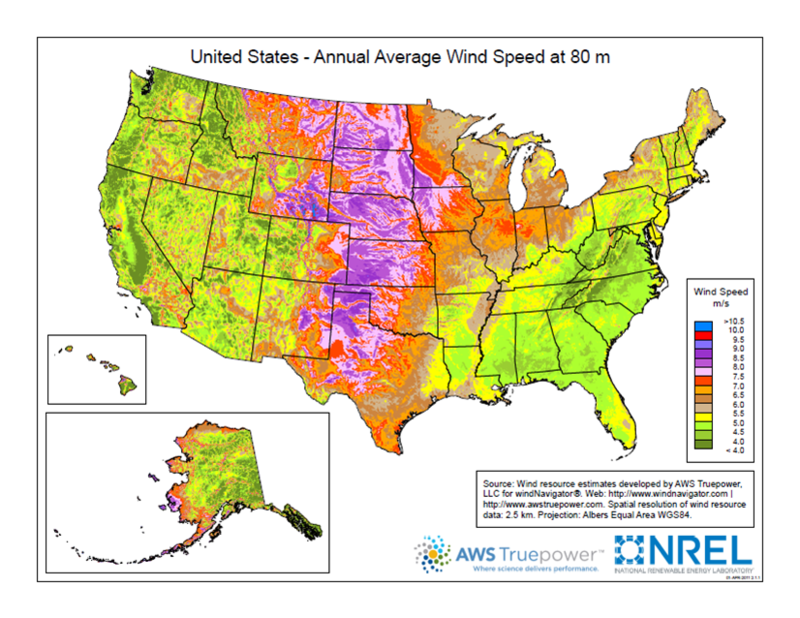 Wind - wind forces can really drive air leakage in a home, just has house pressures from AHUs (air handler units). A homeowner may really notice their homes' air leakage if their city is windy relatively often and give you valuable insights during the interview as well as touching on their hot spots. 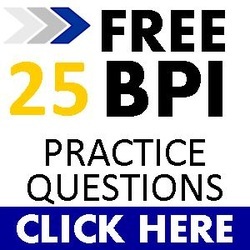 Outside temperature - BPI has specific standards for each climate zone. Depending on where you are you will have to deal with humidity, moisture and mold. Rain - during the walk through of the exterior of a home, you should be inspecting for proper drainage, that everything slopes away from the home to prevent mold and moisture build up. Same thing with the roof line. Outside moisture - water moves from wet to dry, so any stagnation of water will eventually enter the house and begin to rot the interior walls. 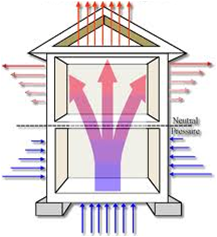 The stack effect - the stack effect is a natural process that occurs in homes and buildings where colder air enters around the floor or basement of a home and naturally moves up and exits through the top of the home. It is most pronounced in 3 story homes. How to do reduce or stop the stack effect? By air sealing (see paragraph below on holes and pressures). If you find a home with a crawlspace and original wood floors and the house is leaky, you can educate the homeowner on the stack effect as your case for air sealing. Just imagine what kind of air they are breathing in the house, it's basically the crawl space air including the rodents, feces, insects and possibly mold! Inside moisture (not really mechanical but you need to know it) - this is where you need to be aware if you come across a tight home with no exhaust fans or way to remove moisture to the outside. Interior moisture left alone or constantly present can create mold growth. 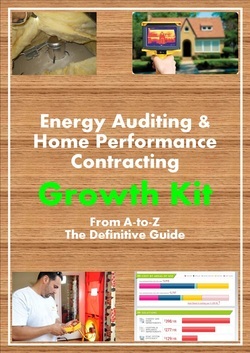 You really need to have these topics in this whole section in the front of your mind the entire time you are performing an energy audit. It is too easy for novice energy auditors to concentrate just on the motions, running a blower door test, inspecting the attic for open wall chases and misalignments, walking through the house with an IR camera and think they are doing a good audit. Without understanding these concepts and their applications, an auditor is just putting lipstick on pig. The answer is a pressure difference and a hole and you need both of them to get air leakage, if you stop one, you stop the other. The pressure difference comes from MECHANICAL FORCES like the AHU (air handler unit) or exhaust fans or attic fans if the home is very tight or NATURAL FORCES like wind or the stack effect. The AHU creates a lot of pressure when it kicks on, enough pressure is generated to blow air through all the ductwork up 3 stories or across the house 30 feet. That's why if you are doing a time-and materials contract always start sealing the ductwork connections closest to the AHU, because it is under the highest pressure. Leakage closer to the AHU under 100 Pa of pressure is much more important than leakage 30 feet downstream under 10 Pa of pressure. The room pressure should also be considered because opening and closing doors is essentially like putting a huge dampener on the ductwork to that room if the room pressure is high. High room pressures can contribute to air leakage, dust, allergens and make the HVAC system work harder. What is a high room pressure? You may notice that doors close by themselves when the HVAC system kicks on, that is because it has a high room pressure. By relieving the room's pressure, you reduce the amount of air leaking, dust and increase circulation back to the return. An exhaust fan may not be a blower door, but on a tight home, they can definitely have an adverse effect. A tight home is much more sensitive to doors closing and small fans running than a leaky home because it creates a vacuum effect. This is bad because outside air can come into the home through existing leakage or worse carbon monoxide can enter from an attached garage or backdraft down a water heater or furnace flue and enter the home. You may not have to worry about smaller exhaust fans, but when you go to newer homes that have commercial range hoods suitable for Iron Chef, you really need to be aware. I heard a new Energy Star home was built so tight, that the toilet flushed when the front door was closed... I don't know if that is true, but it is a funny story. Attic fans have been shown to cause the same adverse effects where the attic fan will cause gas appliances to backdraft into the home. Now that is scary. A hole is any connection to the outside or attic space from leaky windows and doors, drywall gaps around exhaust fans, registers and canned lights, and electrical and plumbing penetrations. So to stop air leakage you can either air seal the home or pressure balance the home. Since usually the AHU is going to create some negative or positive pressure every time it runs, air sealing is usually easier (excluding room pressures). Your AHU, the air closest to the blower is under the highest pressure (therefore the leaks closet to the AHU are the highest priority). Room pressures, when you shut interior doors, you are essentially putting a dampener on that duct line unless there is a way for the pressure or air to escape back to the return by either a transfer grille, jump duct or return duct. During an energy auditors combustion safety tests, the home gets put under the most negative pressure possible (aka worst case) for each space where a gas appliance is located (the "CAZ"). This usually means turning on the all exhaust fans, AHU and dryer to create a negative pressure in the house in attempt to backdraft the appliances so we can catch a potential H&S hazard before it actually happens. Dominant duct leakage test can tell us if there is more leakage on the supply side (negative number) or the return side (positive number) of a duct system. The outside wind forces can put out homes under a positive pressure on one side, and a negative pressure on the opposite side.